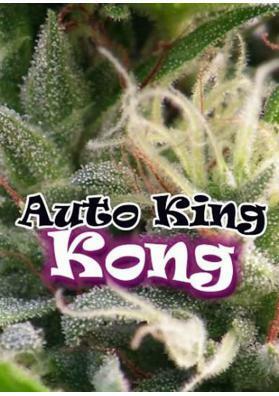 Auto King Kong is an automatic Marijuana strain that retains the strengths from the original versio. This is strain is high-yielder and very fast. Based on the original King Kong, the Dr. Underground team has managed to make an uniform and reliable version of their resinous automatic monsters. Auto King Kong is a strain with a great resin production and fast, besides having a lower price than the original version. This cross shows great stability like its older sister, yielding stable specimens in almost any culture media, whenever they are good. The aroma and flavor have been enhanced a bit, but are still full of tones. Auto King Kong is very suitable for mass production but in the automatic version.